So what is a clean up crew? A clean up crew is a group of tank inhabitants that eat excess food, detritus, and algae. Clean up crews are mostly used in saltwater reef tanks. Now that you know what one is, you are probably wondering what makes a good clean up crew? A good clean up crew will be a mix of different animals that each serve a different role in the clean up process. Some will be perfect for eating algae, while others will be used to clean up extra food. Before adding any of these invertebrates, you will need to make sure the fish you have won’t attack or eat them otherwise you’ll be buying expensive fish food. Below I’ll list the typical members of a clean up crew and a little more detail on each of them. The ones I have in red text, I personally wouldn’t recommend using, but it will be up to you to decide what clean up crew you want. Pretty much every reef tank will have snails as some part of the clean up crew. Depending on the type of snails, they each serve a different function in the cleanup crew. Trochus Snail – I love trochus snails because they pretty much eat any nuisance algae in your aquarium. They are known to eat shorter hair algae, cyano (slime algae), bubble algae, film algae, and diatoms (brown algae). They can also right themselves up if they fall and end up upside down and can also move pretty fast for a snail. They can also hold their own against hermit crabs, I’ve even seen them toss hermit crabs off their shells. This is pretty much my go to snail when I’m setting up a tank and deciding on the clean up crew. Turbo Snail – Turbo snails are most notably used by reef hobbyists with hair algae problems. They do consume hair algae, but turbo snails are also big, clumsy, and messy. Some people have reported issues with turbo snails knocking over rocks or corals while they were grazing on algae. In my experience, turbo snails produce a lot of waste, which made me wonder if their waste would just be feeding the algae in the aquarium. Astrea Snail – This snail is similar to the trochus in their diet, but one big difference between the two snails is if the astrea snail flips over, it can’t right itself back up. If you leave an Astrea snail upside it will eventually starve to death, or more likely become prey for a hungry hermit crab. If you don’t mind getting your hands wet every time you see one upside down then this snail would make a great addition to your clean up crew. Nerite Snail – This snail can actually live in a wide range of conditions, from saltwater, brackish, and even freshwater. They stay relatively small and are excellent algae eaters. While they will ignore hair algae, they will eat other film algae, particularly the kinds that grow on the glass. They also stay relatively small in size which makes them good for smaller reef tanks since they won’t knock over rocks or corals. Margarita Snail – Margarita snails are often times sold as good algae eaters, which they are. The only problem is they don’t tolerate temperatures of a normal reef tank and often have short life spans in captivity because of it. I would personally recommend avoiding this snail, but it’s worth mentioning because many stores still sell them as part of a clean up crew. Bumble Bee Snail – Bumble Bee Snails are mostly scavengers and feed off excess food and detritus in your aquarium. They live in rock crevices and also borrow in the sand. They will sometimes prey on beneficial worms which is why I usually avoid them considering there are better alternatives. Nassarius Snail – This snail is excellent for stirring up your sand bed and eating any extra food in your aquarium. They are a scavenger so they won’t attack your fish or other invertebrates, and they will do an excellent job cleaning extra food or in the unfortunate event a fish dies without you being able to pull it out. You will need to make sure to stock them properly, otherwise you will end up needing to feed the tank to ensure the snails are getting enough food. Cerith Snail – This snail will dig in your sand bed and eats algae. Because it digs in your sand bed, it can help to keep your sand stirred to prevent detritus from building up. They are nocturnal so you may not see them very often. They are like an overnight janitorial crew, they work hard to clean and are sometimes under appreciated because you don’t see them. Fighting Conch – This snail is an excellent sand sifter, however they require a larger aquarium to ensure they get enough food. Unlike other conchs, fighting conchs are considered reef safe, the problem is other conchs are often times incorrectly sold as fighting conchs so people end up thinking they are problems in their reefs. Fighting Conchs can be an excellent addition to a larger reef with a deep sand bed to help remove detritus from building up in the sand. Crabs are a little more controversial in terms of including them in your clean up crew. Some people refuse to include them in their tank because of their omnivorous diet, while other people continue to use crabs in their tanks. It’s important to note that as hermit crabs grow they require bigger shells, and if they aren’t provided with empty shells even peaceful crabs will kill snails for their shells. Also, when keeping hermit crabs, many people report having issues with different types of hermit crabs killing each other so it’s usually recommended to only use one species of hermit crab in your tank. Red Scarlet Hermit Crabs – This is considered one of the more reef safe hermit crabs you can purchase. I have personally used them in a majority of my reef tanks and I have never had an issue with them killing snails or anything else. These guys are great for eating algae, including hair algae, as well as detritus and extra food. As with any crab though, if they start getting bigger I usually move them to my refugium, or a fishless tank just to be safe. Blue Legged Hermit Crabs – These hermit crabs are excellent algae and detritus eaters. In the first reef tank I ever had, I had a bit of a brown hair algae problem on one of the rocks. I added a few of these guys to the tank and by the end of the week the hair algae was completely gone. After red scarlets, these hermits and probably the next most peaceful. Mexican Red Leg Hermit Crabs – These hermit crabs have been reported to do a great job eating hair algae, I never had that experience with them though. Like most hermit crabs, they can be aggressive to snails if they need new shells or are hungry, so make sure they are getting enough food and have enough empty shells for them to choose from. Zebra Hermit Crabs – These are one of the smaller hermit crab species you can add to your aquarium, but these small crabs can hold their own. Even though they are small in size, they are one of the more aggressive hermit crabs commonly sold as “reef safe”. They won’t hesitate to fight and kill other hermit crab species for their shells. They need to be kept well fed to minimize the chance of attacking other hermits or snails, and this kind of defeats the purpose of having them in your clean up crew. Emerald Crab – Emerald Crabs are very often times recommended as a way to control or get rid of bubble algae. They will eat bubble algae, but if you have a severe bubble algae problem, they may not make a noticeable different in the amount. The other problem with emerald crabs is, like most crabs they are opportunistic predators. This means that even though they may mostly eat algae, if it comes across a small sleeping fish, it may attack and eat them. I have kept one before I realized it could attack my fish, and luckily I never had any issues with it, but I would not recommend getting one, especially considering there are other alternatives for bubble algae control. Shrimp can be a good addition to the clean up crew because they will eat extra food in a tank. The only problem with shrimp is sometimes they will steal food from corals or eat food meant for your fish. Despite this, they are great for scavenging and some have other benefits as well. Scarlet Skunk Cleaner Shrimp – This shrimp gets its name as a cleaner shrimp not because it helps keep your tank clean, which it does, but because it will also eat parasites off of your fish. Fish know this too, and will swim up to the shrimp and offer themselves to be cleaned, which is fun to watch. The fish swim up and then look like they almost go limp, then twitch in from of the shrimp. Apparently that rings the dinner bell because the shrimp will then crawl on the fish removing parasites and dead scales. Blood Red Fire Shrimp – This shrimp has very similar behavior to the cleaner shrimp, in that they will eat extra food in the fish tank. They will also act as cleaner shrimps and clean fish, although it doesn’t happen as frequent as with the scarlet cleaner shrimp. These shrimp are also a little more shy and may spend much of their time hiding, but they are very colorful when you get to see them. Peppermint Shrimp – Like the other shrimp, the peppermint shrimp will eat extra unwanted food and scavenge in your aquarium as well. One thing they are most known for is their appetite for aiptasia anemones, which is a pest anemone that can sting your corals. Personally I would recommend one of the other shrimp for cleaning up extra food, and wouldn’t bother adding this shrimp since some people have reported them eating their coral. This makes sense since they can eat a stinging anemone. Brittle Starfish – Brittle stars are excellent scavengers that can help keep your tank clean in places you can’t reach. They spend a lot of time under rocks or in caves scavenging. While there are many brittle starfish that are considered reef safe, I’ve only had experience with the banded brittle star, seen in the picture to the left, and I never had any issues with it. One brittle starfish you should avoid is the green brittle star which can and will eat other invertebrates and even your fish. They wait for the fish to be sleeping at night and will hunt the fish and catch them before they know what happened. Sand Sifting Sea Star – This starfish lives on the sand and does an excellent job sifting sand and eating the detritus in it. 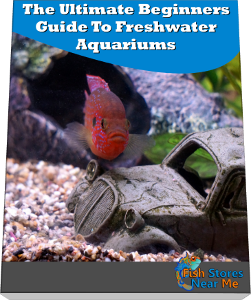 They are nocturnal so you may not see them as often, but they can help keep your tank clean. They need to be in a tank large enough to support their appetite otherwise they will slowly starve and die in your tank, possibly without you even knowing. Also, besides detritus, these starfish will eat various other small critters it encounters, many of them beneficial. Given this fact, and the fact that they very likely will consume all the available food, I personally don’t recommend them for aquariums. Lettuce Nudibranch – Lettuce nudibranches are a type of sea slug that feeds on algae. They are quite small and can be blown off rocks in a fast current aquarium and pulled into a pump. I’ve heard that lettuce nudibranches eat hair algae as well as other algaes. Personally, I don’t think they make a great inhabitant for a home aquarium only because many times they will end up dying; however in the right aquarium they could be a great addition. Sea Cucumber – Sea cucumbers are sold as excellent sand sifters, which they are. They probably sift more sand than any other invertebrates on this list. There are a few problems with keeping them in a home aquarium though. Since they sift so much sand, they need a lot of it to stay alive, and the amount will only increase as they grow. Which in the right conditions sea cucumbers can grow quite large. Add that to the fact they if they die and aren’t removed right away, they can nuke your tank by excreting a toxin that can kill most things in your closed aquarium. These are best left in the ocean where there is enough water to dilute their nuking affect. While many of the above invertebrates are great candidates for a clean up crew, the true unsung heroes of your clean up crew are the tiny organisms you may not even notice in your aquarium. Things like copepods, amphipods, bristle worms, microstars, peanut worms, and all the other tiny critters can get into spaces too small for snails or hermit crabs to reach. These critters usually come in from live rock as hitchhikers, and may go unnoticed for years. They keep the small holes in your live rock clear of detritus allowing the bacteria in the live rock to properly filter your water. Thanks for reading and learning about clean up crews for your saltwater aquarium. If you found this helpful and would like to know other tips and tricks, including the secrets many fish stores won’t tell you, please join my mailing list.